Every entrepreneur, charitable organization, not-for-profit, and yes, even public organizations, needs to remember that the main goal of exhibiting at any event, is to promote your business with the intent to increase the value of your organization. When planning your next event, there are some key questions to ask to ensure success. Whether you are a retail entrepreneur putting up a booth at a trade show or vendor fair, a charitable organization putting on a fundraiser event, or a professional teaching a workshop series, the goal of every event is to get people to ‘buy’ what you have to ‘sell’. For business owners goals will be to simple; it is to sell their products or services. However, for other companies, it might not be so obvious. Manufacturers setting up a booth at a vendor show may not be selling anything directly, but they can offer knowledge or technical support. For their retailers at the same show, this offers incredible value add in building that relationship. For charities and not-for-profit organizations, their goals may be selling tickets to a fundraising event, membership and donation drives, and/or volunteer recruitment. Knowing what value you have to offer, and what you have to sell, is essential for the success of both profit & not-for-profit organizations. All organizations need resources, people and money, to support sustainable growth. So, when planning your next event, which takes time and money, always make sure you have a clear understanding of how to get the greatest return on your investment at your event. Recommendation: Make sure to include both the sales and marketing team at this early planning stage to establish clear goals and offer combined expertise. It will lay the foundation for a plan that will result in getting the greatest return on investment for your event marketing dollars. What are your business goals that this event will support? What are the marketing/communication goals that this event will support? What do we want to achieve by attending the event? What is the product/service we are selling? How can people pay for the services/product at the show? Is there an event deal? Are there any special activities you will be doing at your booth? e.g. demos, special guests, etc. What is the marketing budget for this event? What staff will be working/volunteering at the event, when, and what is their role? How will the booth be designed? Layout, product placement, display marketing materials, signage, etc. At the recent Toronto Bicycle Show, I had the opportunity to work with Dr. Joe Pelino and his team. We worked together to answer the above questions to establish a couple value focused business and communication goals. 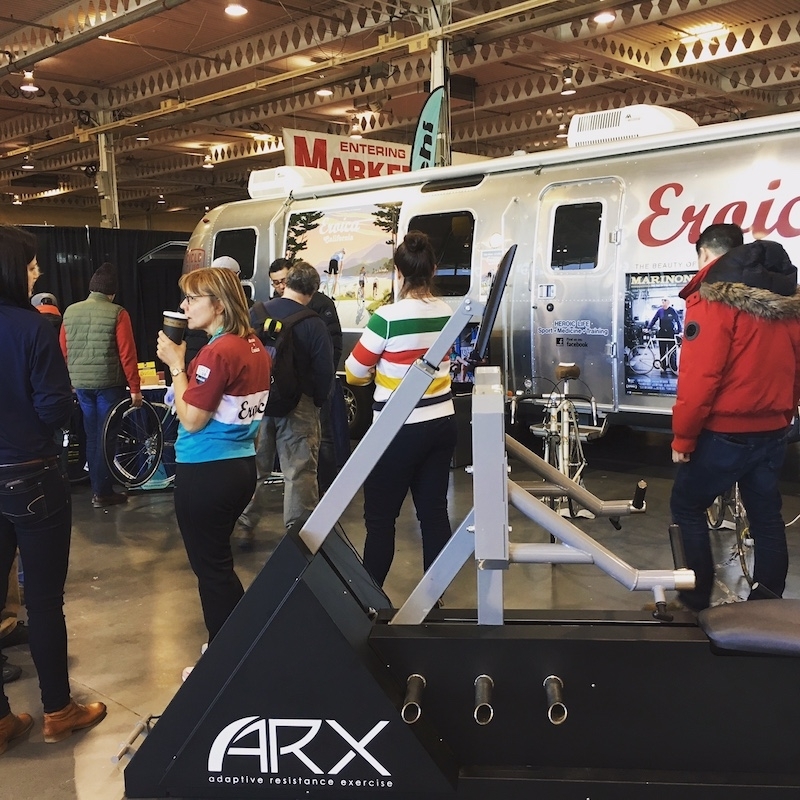 One goal was to bring awareness to the Eroica Canada event that will be coming to Niagara in 2018, but also to promote and sell the ARX workouts that help cyclists and other athletes prepare for events like this. Because we don't have the registration open yet for this event, our communication goals were to get the contact information for interested people so they can receive email and social media updates as more information becomes available. We went from 0 people on our email list to 152 people in only 3 days.